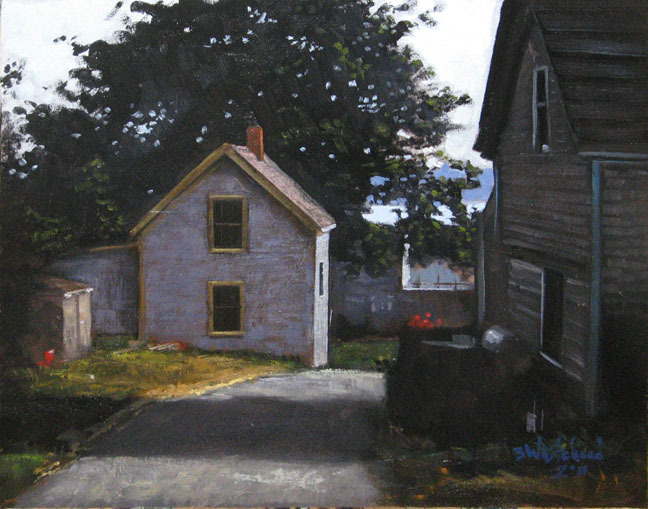 Back in 2002 I made my first professional trip to Maine to paint. It was only for two weeks, but I made daily trips to places between Mt. 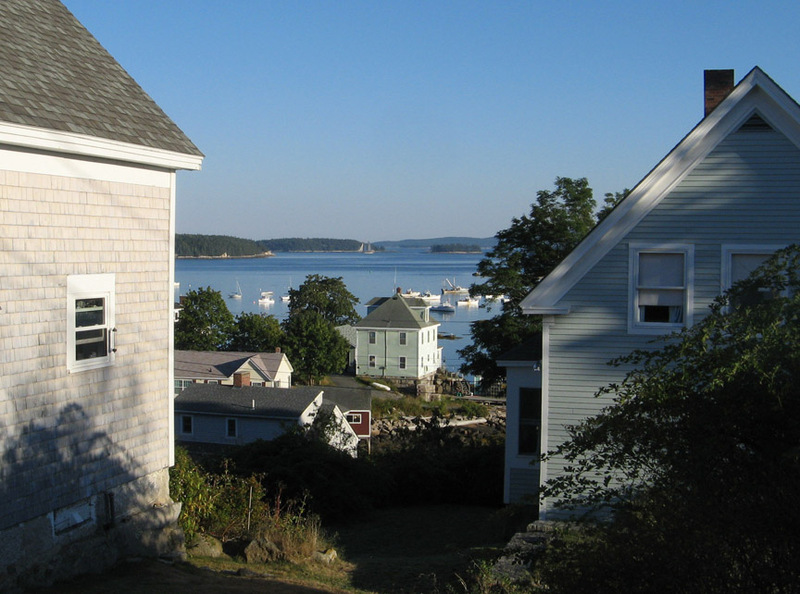 Desert Island, Camden, Castine, Stonington, Ellsworth, Bluehill, and Brooksville. 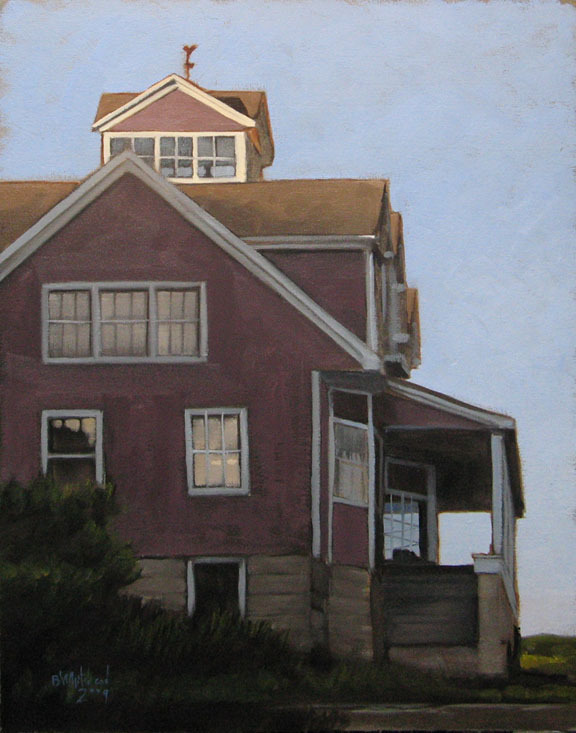 I stayed at the Oakland House Resort which served as my base and would later serve as my studio. 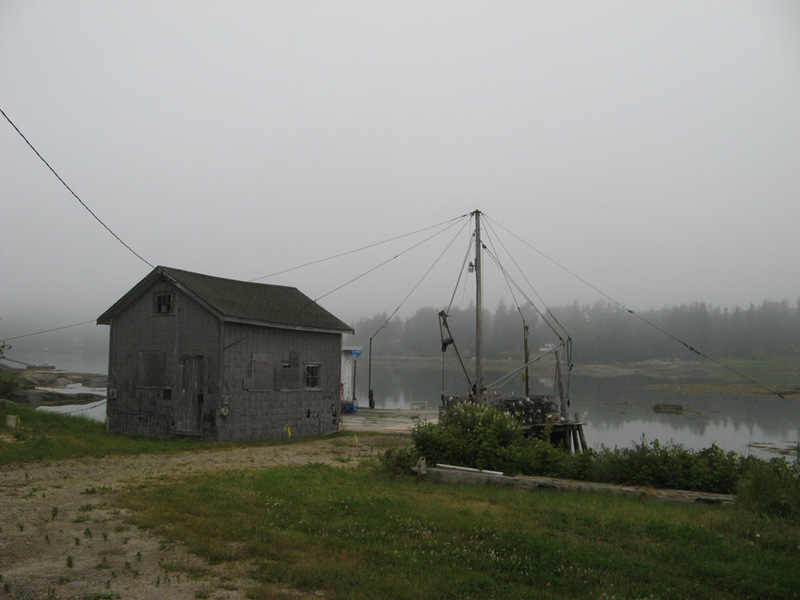 One of the first places I found tremendous inspiration from was the small fishing town of Stonington which is located on the southern edge of Deer Island in Hancock County, Maine. 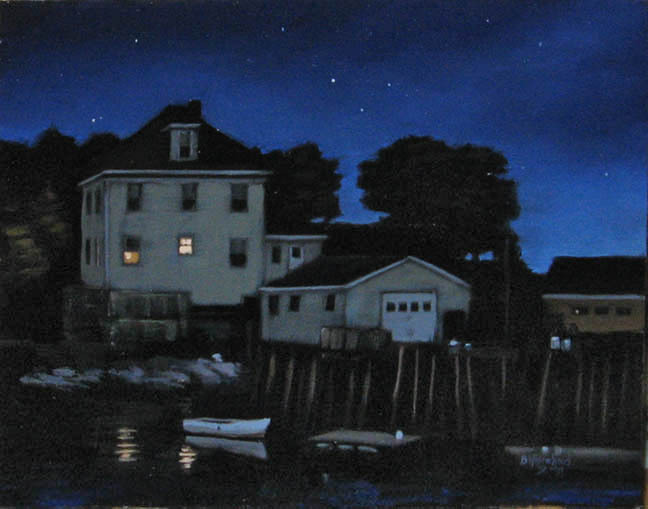 I won’t go into history or demographics, but from an artist the community and its houses, boats, docks, buildings, and granite abound with creative possibilities. 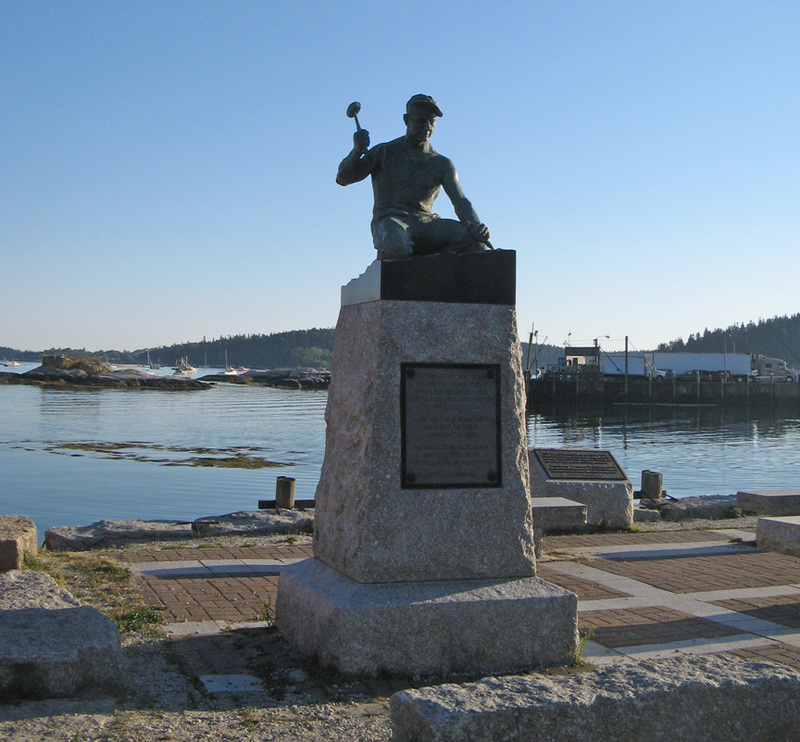 Below are some photos and paintings that I’ve taken and made since 2002 of Stonington and other places on Deer Isle. 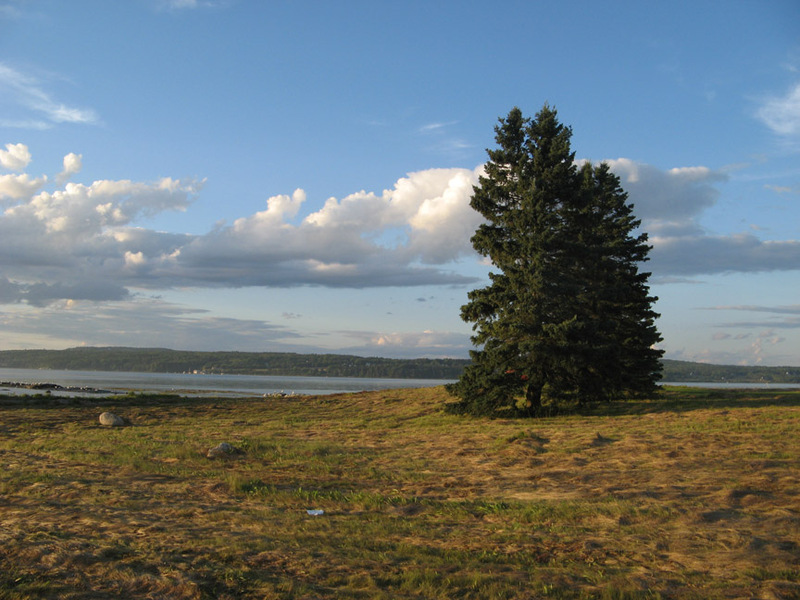 Looking South towards Isle Au Haut from upper Stonington area. Maine Street at Atlantic Ave. G Watson Gallery is there. Good Fellows Hall. I’ve always wanted to venture in. 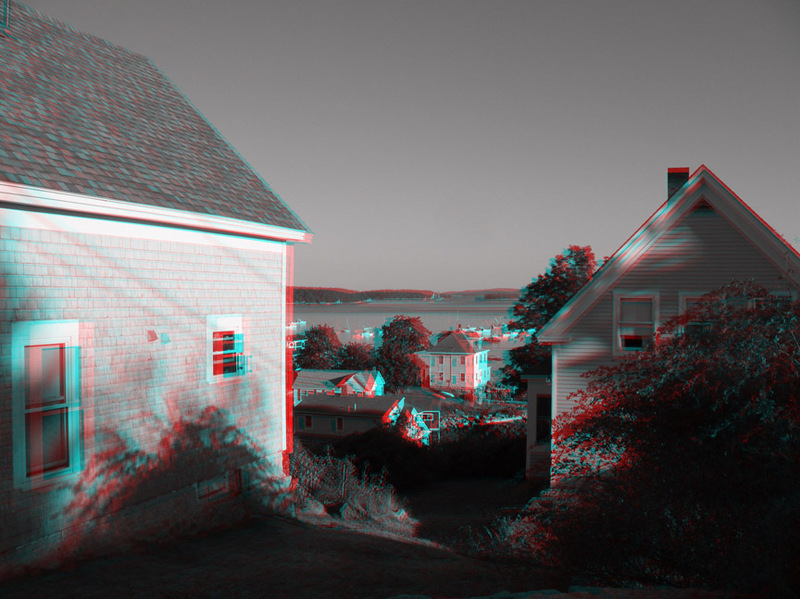 3d Anaglyph view of above picture. 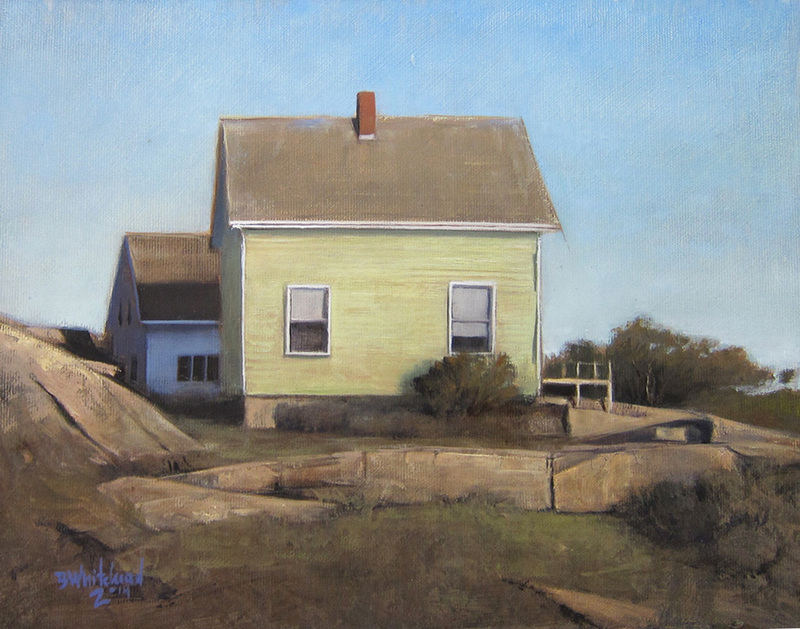 The light green house next to the water there has appeared in a number of my paintings. 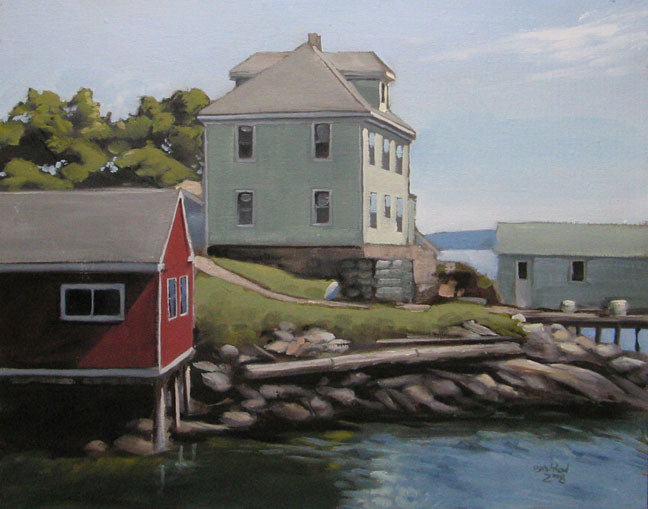 The next time I’m in Stonington I plan on doing some type of composition with the red house. They always have the flowers and landscaping so nice. 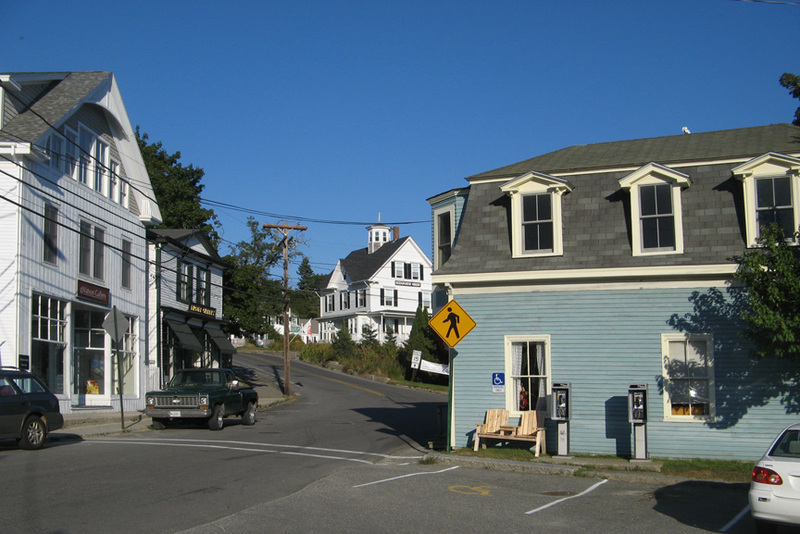 West Stonington – it doesn’t really have a town center, but has quite a bit of inspiration. 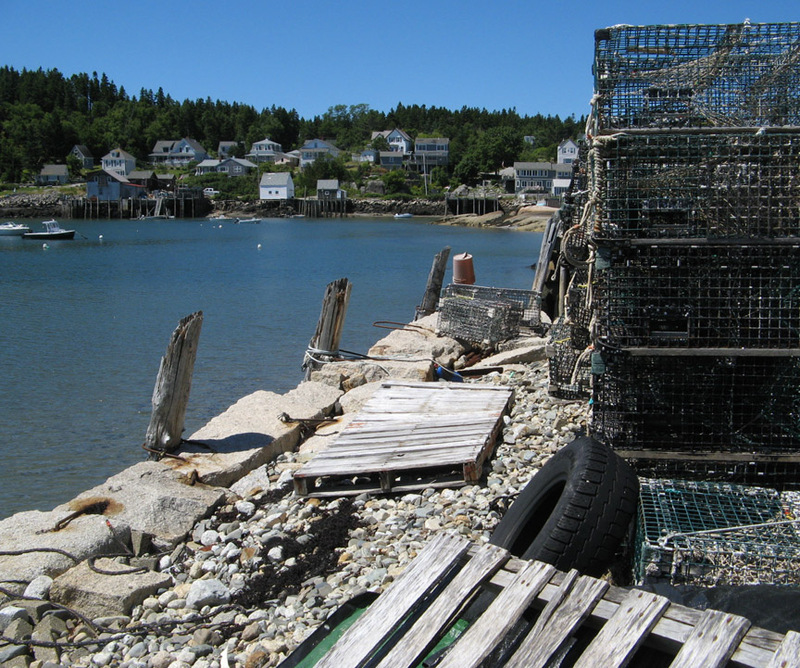 The working docks, lobster traps, fishing buildings, and boats are wonderful. There is a chocolate Lab that patrols the docks there too. 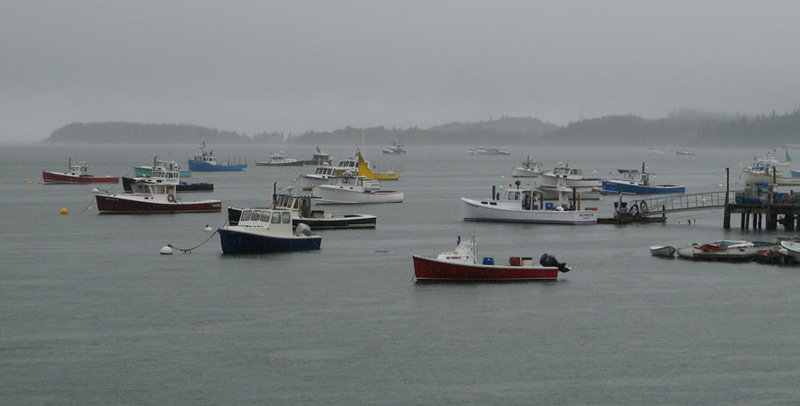 In order to get to Stonington one will pass some fine clamming areas at the Deer Isle causeway. Stay and enjoy if the tides are on the low side. 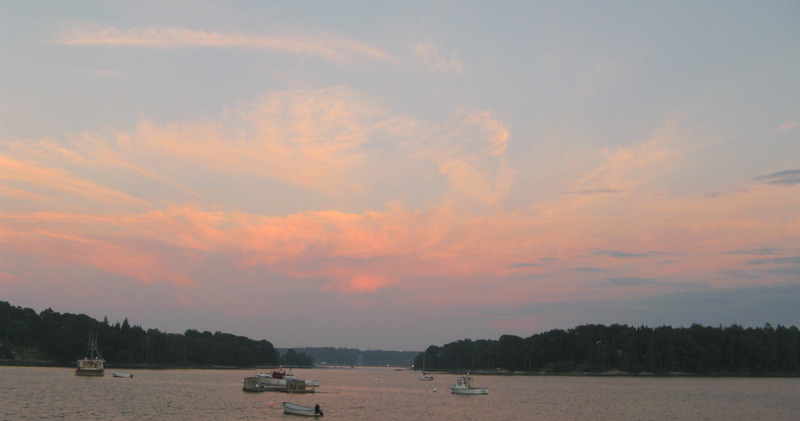 Sunset from Little Deer Island. You drive over this small island on rt15 on your way to Stonington. 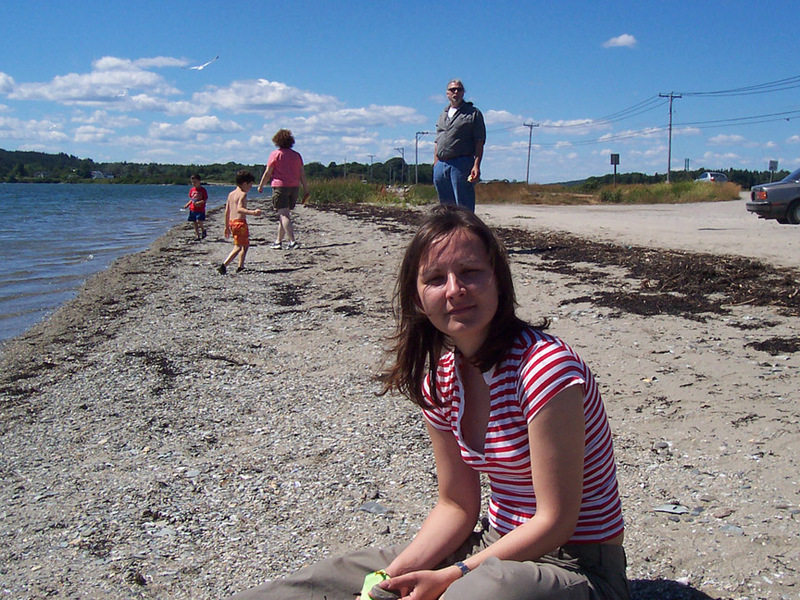 My future wife enjoying the causeway beach. 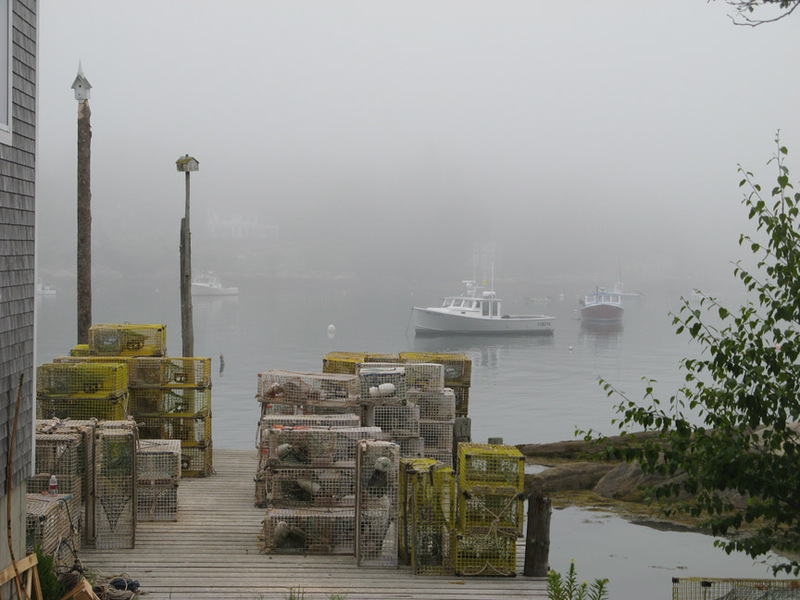 Foggy Stonington Harbor with lobster boats. 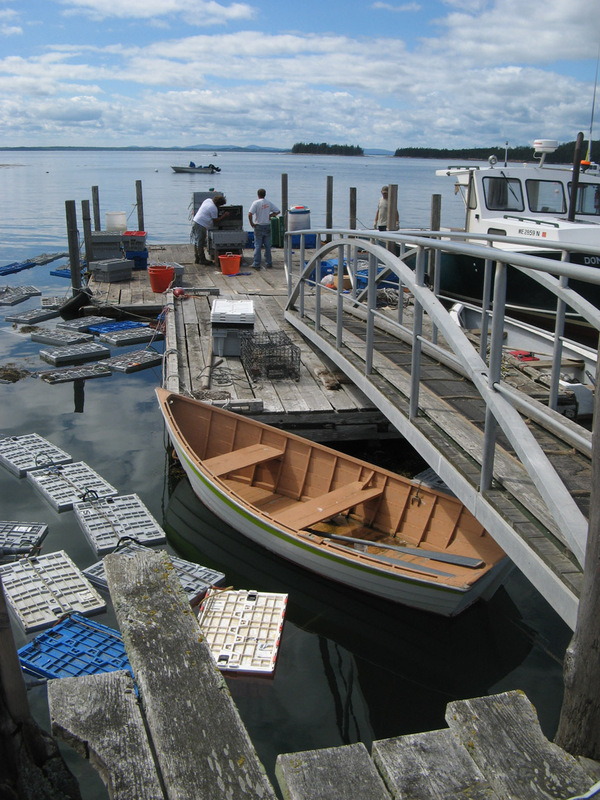 Western Stonington Dock with Maine things ripe for painting. 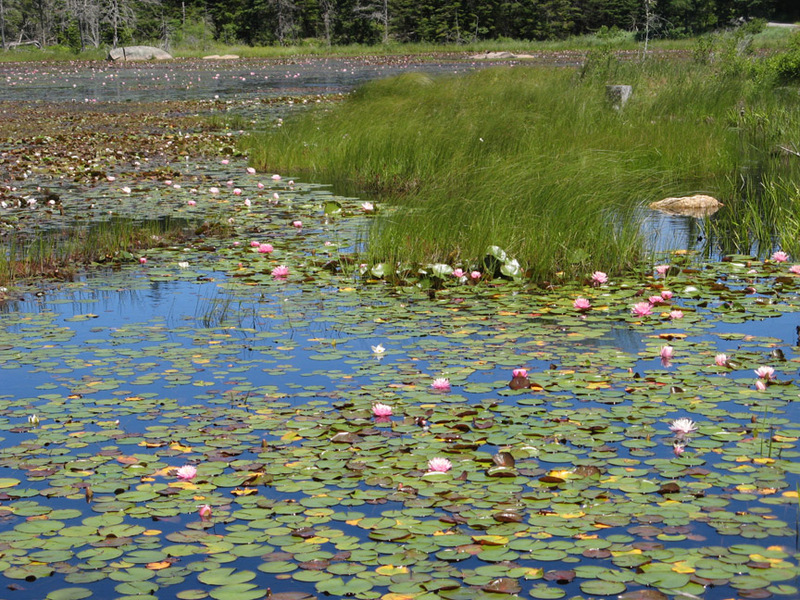 Ames Pond has a fine water lily collection. Its east of the city off Indian Point Road. 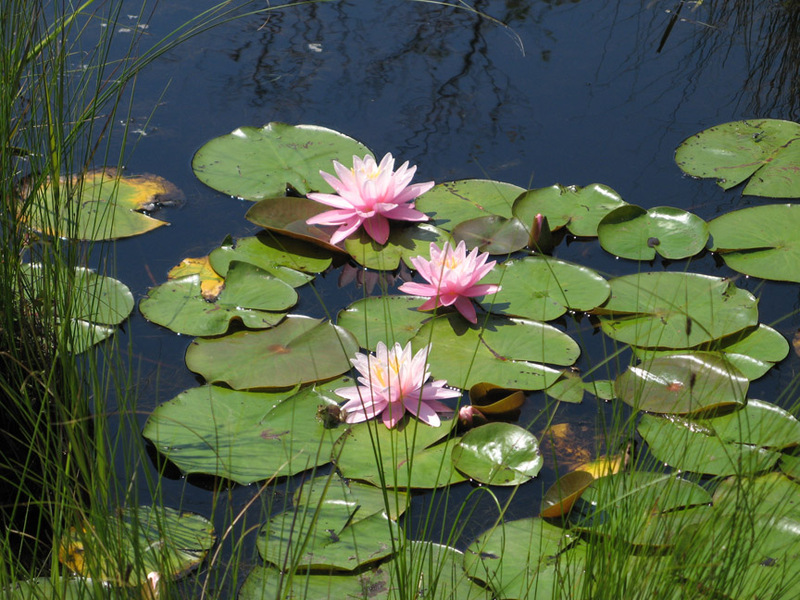 Also look for newts, turtles, heron, frogs (pictured), and beaver. West Stonington Dock things. I watched several hundred lobsters get sorted here. 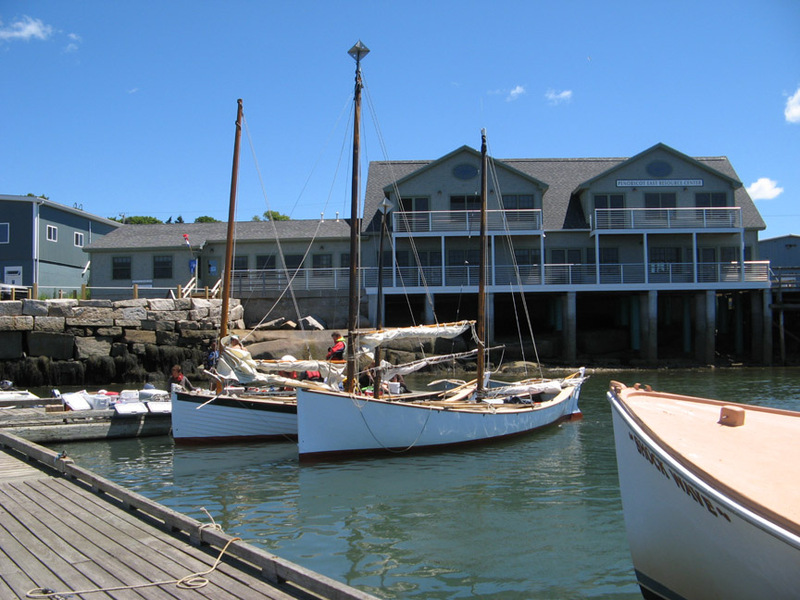 Public Landing in downtown Stonington. 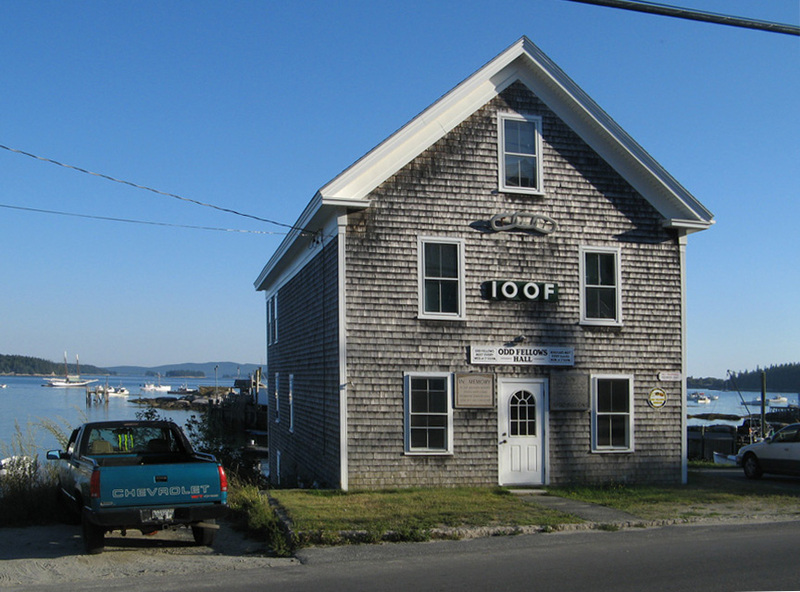 Near the souvenir and post card shop downtown Stonington. 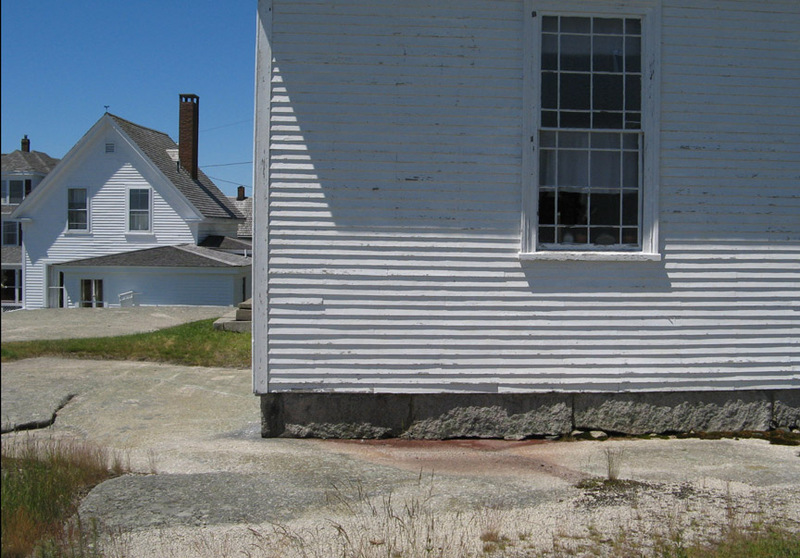 I think this is the community building, but its located at the top of town on a slab of Maine. 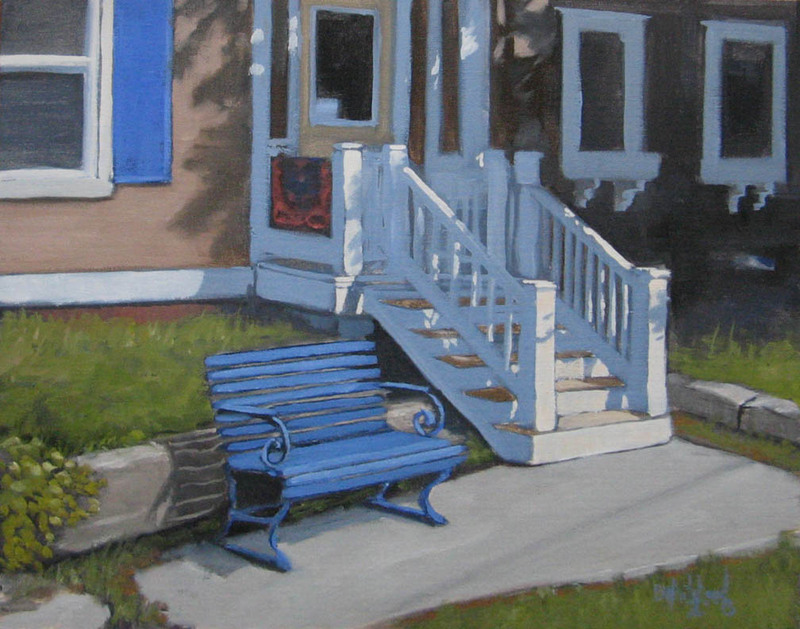 Mid 2000s painting of the blue bench there next to a lawyers office. 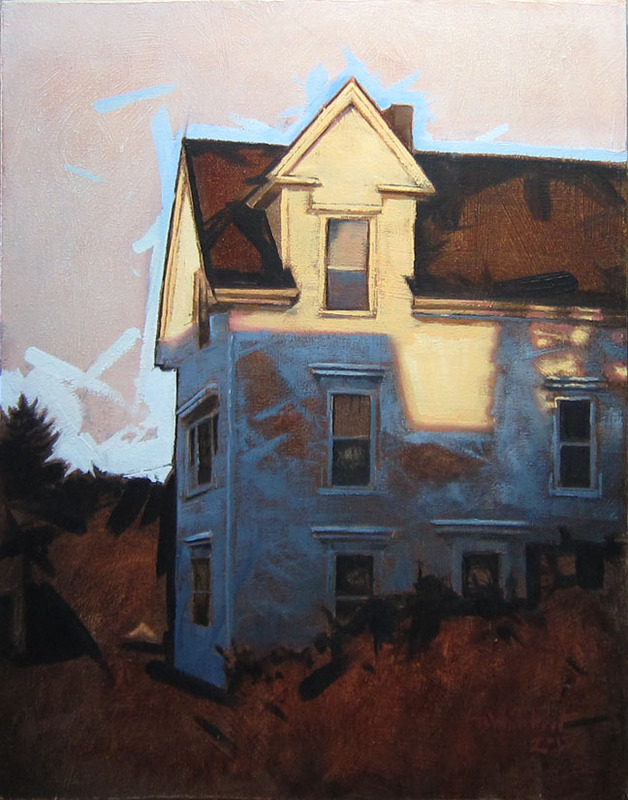 Very stylized painting of a home on Highland Ave. 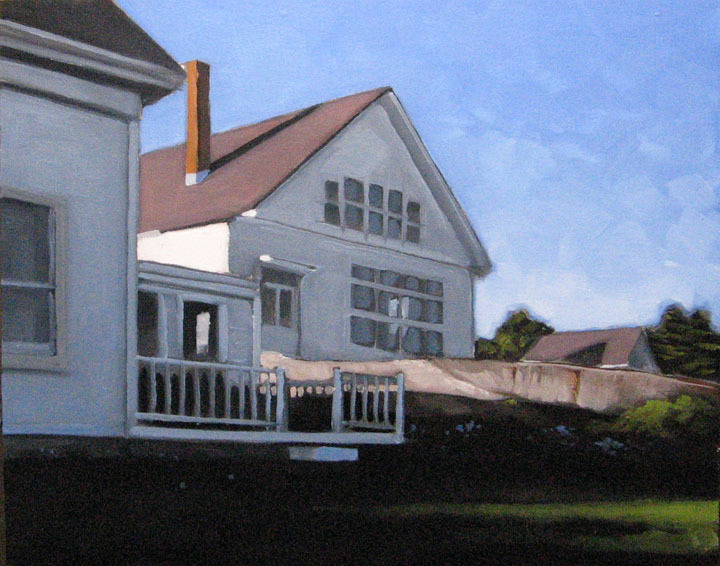 Experimental painting from mid 2000s featuring the green house at night. My favorite green house at high tide. Don’t forget to check out all of the side streets for the best gems. There was a goat hanging out next to wear this was painted. He didn’t eat any paint. 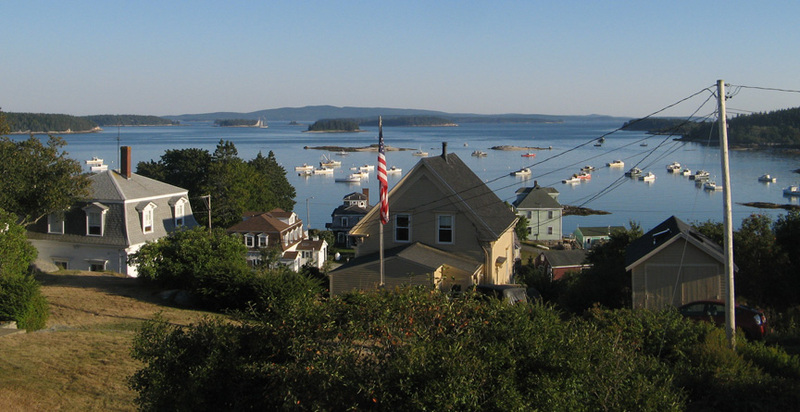 Overlooking the Harbor and Main Street. 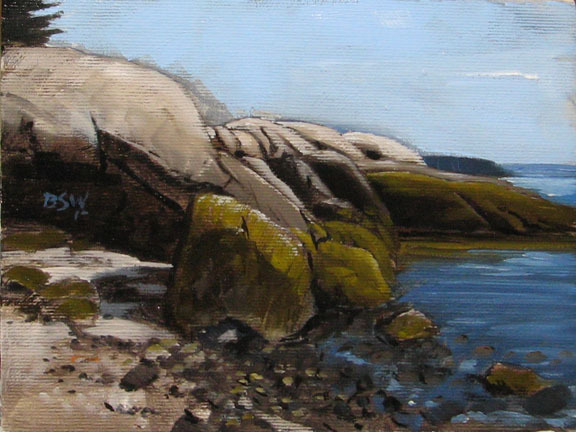 Granite Rocks West Stonington Beach/Park. Community building again nearing sunset. 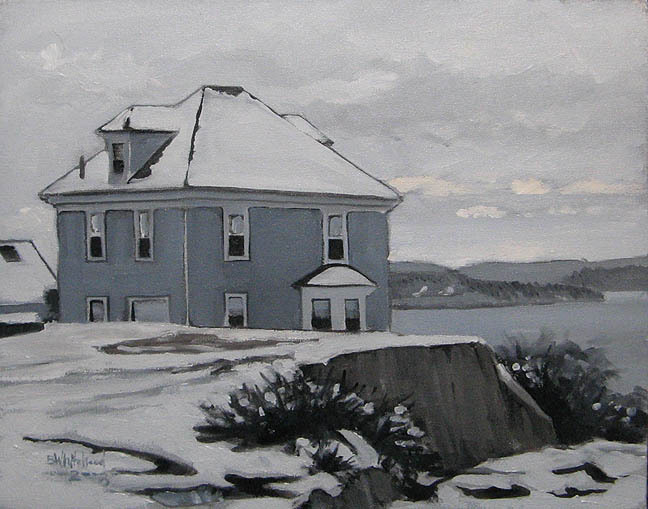 Winter Stonington. This is one of very few winter scenes I’ve done of the area, but one day I’ll get more done. 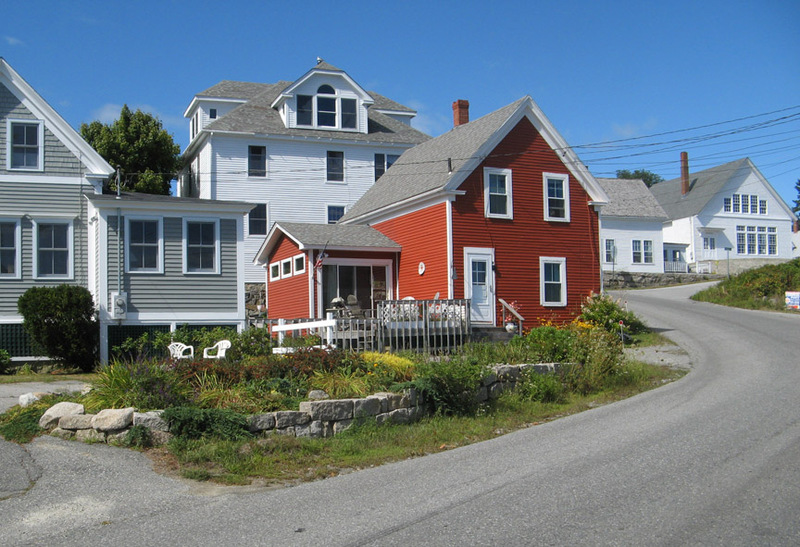 One of the easiest things to find inspiration with is Maine architecture. Thanks for reading. I’ll add more inspiration sets from other parts of Maine. 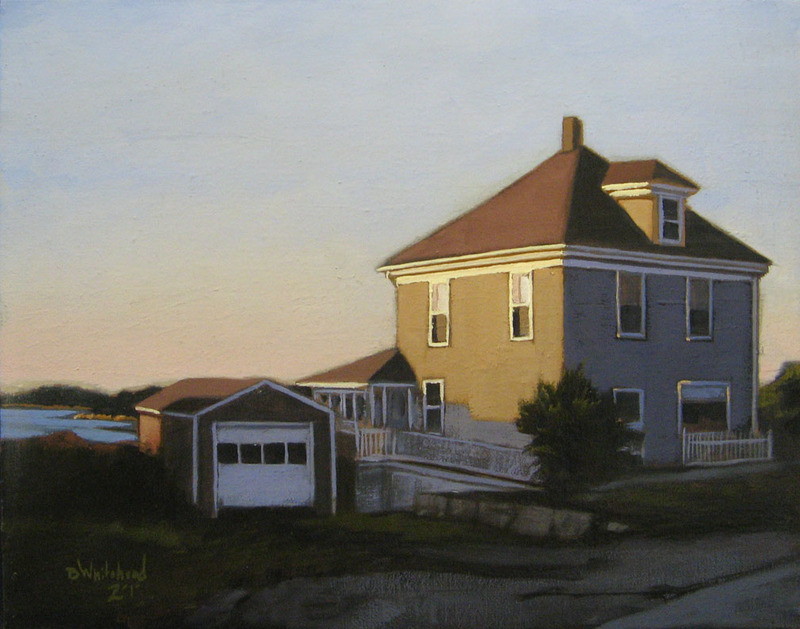 Monhegan, Isle Au Haut, Acadia, Schoodic Point, Flye Point, Brooklin, and Blue hill to name a few. All of the paintings here are in private collections and not available.